US President Donald Trump has described the midterm election results as a “tremendous success” even as opposition Democrats wrested the House of Representatives from the ruling Republican party, which managed to retain its majority in the Senate in the highly polarised polls. In the House of Representatives, the Democrats seized at least 28 seats from Republican hands, enough for the majority in the 435-membered chamber. In the outgoing House, the Republicans had 235 seats while the Democrats 193. House Democratic leader Nancy Pelosi hopes to return as Speaker when the new Democratic majority takes over in January. 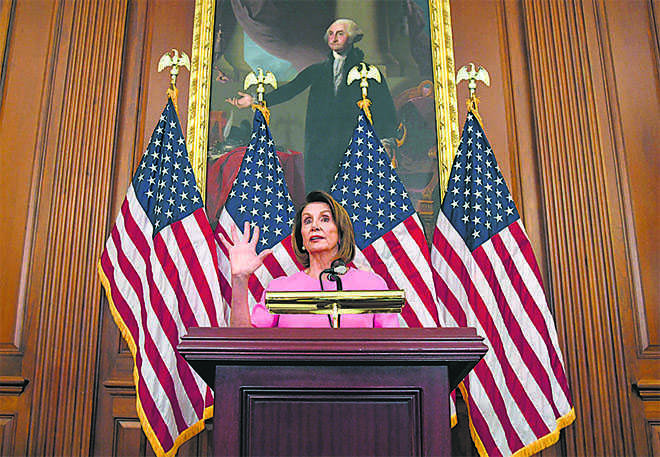 After House win, the top Democrat in the US House of Representatives pledged a new era of congressional scrutiny over President Donald Trump, shrugging off White House threats of political warfare if Democrats launch investigations into his affairs.